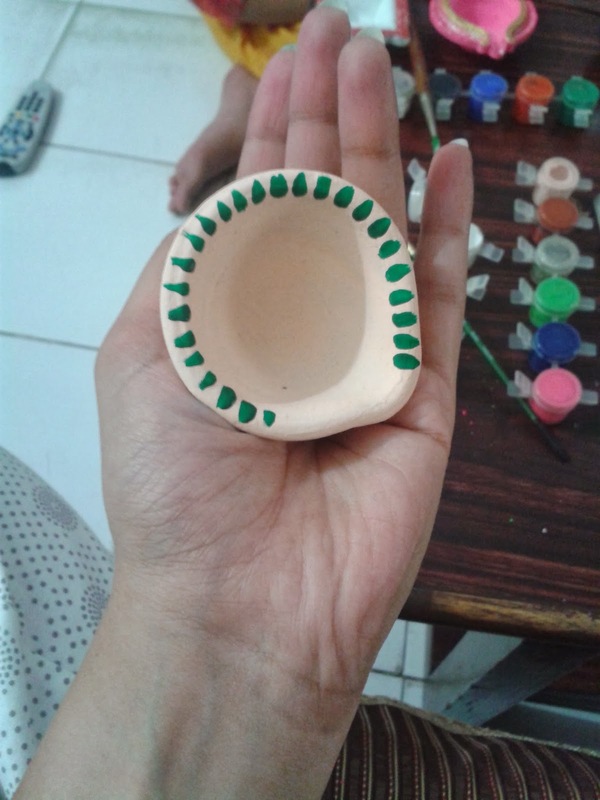 DIY Paint diyas and light up your house. A very happy Diwali to all of you. May goddess Laxmi visit your home this diwali and bring sucess and prosperity. I have for you today DIY i.e. "Do It Yourself "recipe . As diwali is a festival of lights, we all light our home with diyas and candels. Diyas are made of mud mixed with sand and then is given a specific shape, is baked for specific amount of time to make it hard. 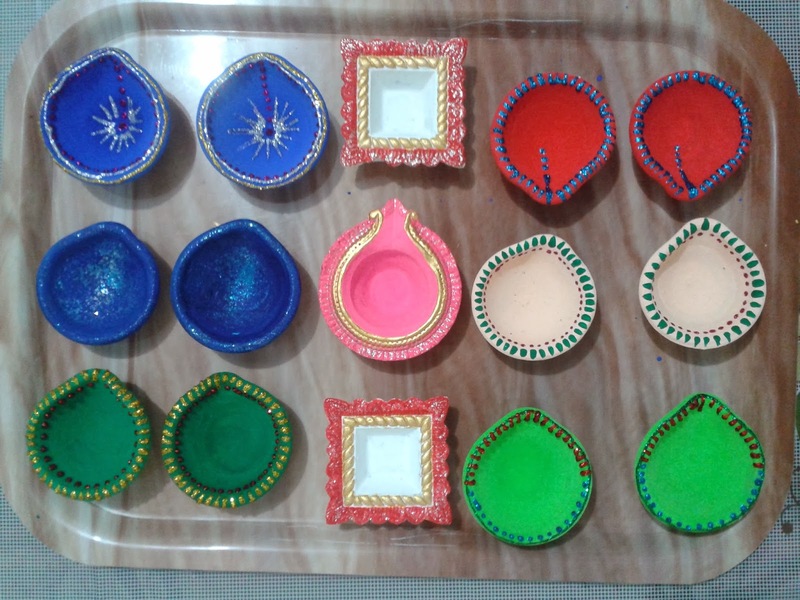 Lets decorate them with easily available colors and light the designesr diyas this diwali. 1.Take the diyas and dip them in water for an hour and half. We dip diyas in water because when we will put oil in them, diyas will not soak in oil infact will stay lit for longer time. 3.Now lets paint them. I have painted diyas in pair, single color. 4.Now its time for you to decorate them with sparkles. You can paint them with colors as well.